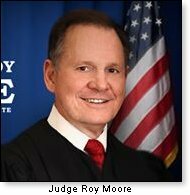 BIRMINGHAM – 11/16/17 – Judge Roy Moore was known to be a conscientious judge who served on the bench honorably for many years. 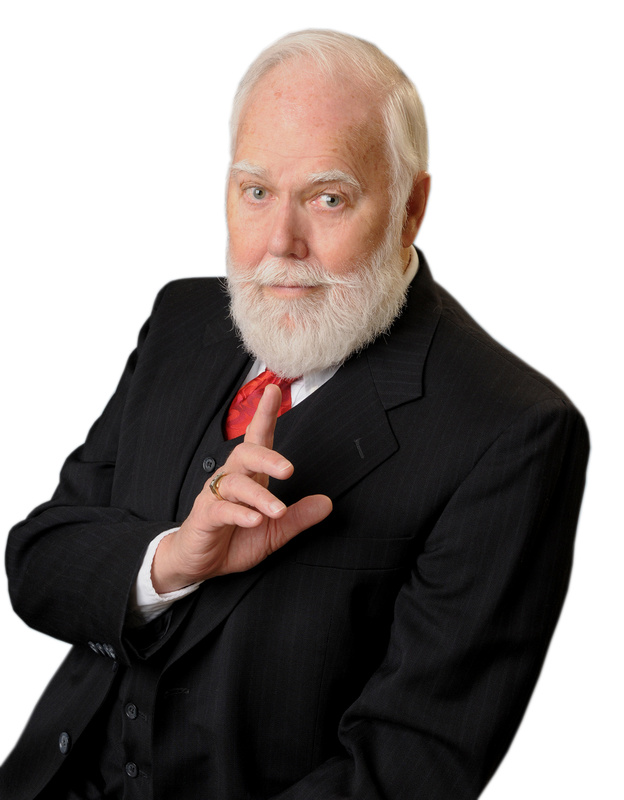 He is known to be fair, a man of integrity, and was never about pursuing a personal agenda. He could not be bought for any price. He made his rulings in the interest of justice, never giving place to "political correctness." He fought to prevent the Ten Commandments display from being removed from his courthouse along with courthouses all over the U.S., and never gave in to his opponents. He strictly followed the Constitution as a judge, and used the Founding Fathers' example when making a decision or ruling. Judge Roy Moore was a true patriot who believed in God and country. He exemplified that in his everyday conduct. He was known as a gentleman. That will be verified by anyone you talk to in Alabama. When he announced his candidacy for senator from Alabama, the people there who knew him well and interacted with him on a daily basis immediately rushed to endorse him as he quickly rose in the polls against his Democrat opponent. It was acknowledged that this would be the most important Senate election in the history of America. So much so that billionaire communist Democrat George Soros immediately sprung into action with his "useful idiots." A month before this election, so important for Americans, spurious newspaper headlines along with lead TV news stories suddenly appeared out of the blue and were in everybody's face. How odd that this whirlwind of news attacks began at the same time – just before an election. And they were spontaneous? What are the odds of that? Wow. What a "coincidence." The Leftist Media proclaimed that senatorial candidate Judge Roy Moore had numerous sexual harassment complaints going back over 40 years. Amazing how they could corral all these women so quickly when these manufactured complaints allegedly 40 years ago did not warrant a police report from the "victims" as soon as these "sexual acts were forced upon these [then] young girls," as claimed. Of course, the force behind it all is the lawyer Gloria Allred, who specializes in this sort of law that has made her wealthy. If it is a slow week and no "victims" show up, she will go out and find them. One such is this latest one, named Beverly Young Nelson, a 56-year-old woman. claiming that when she was a young school girl working in a restaurant, Judge Moore insisted upon forcing himself upon her when she was in her teens. Gloria Allred, a woman who gives lawyers a bad name, quickly trotted Ms. Nelson before the television cameras and news conferences. As the "victim" gave her "testimony," she could not keep herself together – so it appeared – interrupting herself by sobbing as she tried to make her case. It could not have been more emotional. HOWEVER, this "presentation" over something that supposedly happened over 40 years ago is not only suspect, since she did not simply give her account of this horrible incident, but – now get this – she read the complete "testimony" word for word from a script obviously prepared by Gloria Allred. The "evidence Ms. Allred presented" as proof of "sexual misconduct" on the part of Judge Moore was Ms. Nelson's school yearbook, which purported to show that Judge Moore had signed it for her. It was a bit disjointed, there were questions about the lettering used, and Judge Moore, according to "evidence," not only signed the year book, but wrote almost a half page of praise to this young "pretty" woman, and a couple of lines appeared to show a "flirtation." Plus there were no other messages from other students, which is also odd. The first thing this writer observed when examining it was that the handwriting for that "Judge Moore message" was NOT the handwriting of a man. Anyone who sees it (on the link below) will see clearly that this is definitely the handwriting of a woman. Anytime a crime is committed, like the Las Vegas shooting, hundreds of arm-chair sleuths come on with their theories of what really happened. Most of those ideas are rubbish. But at the end of the original story below as published by Daily Wire, BE CERTAIN TO READ THE RESPONSES. They offer more info to prove the Democrat communists lied about Judge Moore. Scroll down. The page shown on the link to a black bar across the page with "See Comments" and click on. There are many, but it is worth the time, especially for those of us who truly are patriots. There are many handwriting experts who weighed in to prove that the message in this teenager's yearbook is a fake. She is using that yearbook as a weapon. Take your time with this. Make extra coffee. Read every letter challenging Judge Roy's handwritten message in Beverly Young Nelson's school yearbook. Click link below for more facts to prove this attack on Judge Moore is a lie.